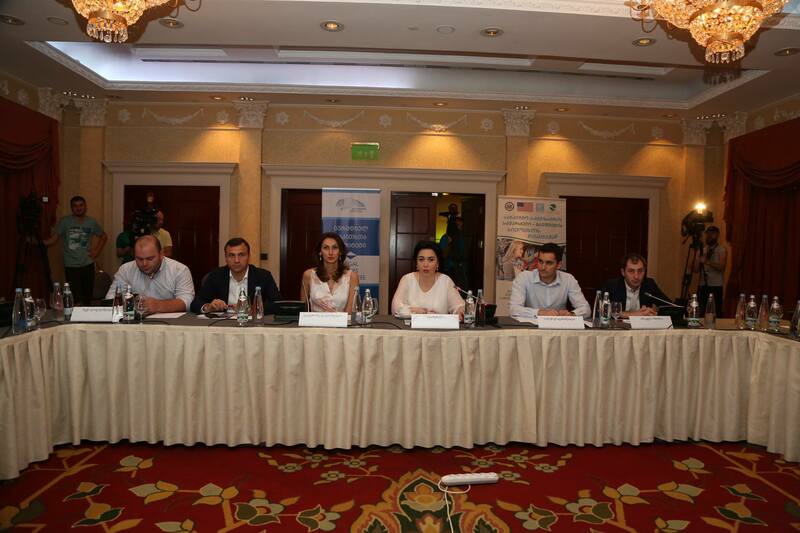 On July 31, public discussion on “Baby Car Seats to Save Lives: Legal Regulation Advantages and Challenges” was held at Tbilisi Marriott Hotel. The objective of the meeting was to discuss the legal regulation advantages of use of baby car seats, considering the EU standards, current available studies and international experience. The Chair of Legal Issues Committee of Parliament of Georgia, Eka Beselia gave speech to attending guests. The Chair of the Georgia Alliance for Safe Roads, Ekaterine Laliashvili spoke about the best practice, the EU standards and international experience of use of baby car seats. The social survey outcomes on baby car seats have been introduced by the CEO of the Partnership for Traffic Safety, Irakli Izoria. The following parties discussed the legal regulation advantages and challenges of use of baby car seats: The representative of the Legal Issues Committee Stuff, Ioseb Lapanashvili and the representative of the Information-Analytical Department of the Ministry of the Internal Affairs of Georgia, Beka Liluashvili. The representatives of the Legislative and Executive authorities and Public Sector authorities as well as the field expert, participated in the discussion.